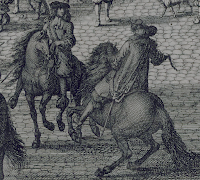 I do like the Baroque horse - and with more and more images appearing on the Net, this liking or fondness can be encourage with many period paintings, engravings or drawings. 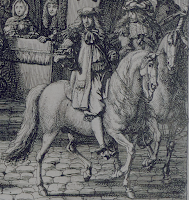 So a quick look at van der Meulen, Flemish painter who was a pupil of the famous battle painter Peter Snayers (among other, the author of the Kircholm battle epic canvass) and upon moving to France became one very successful French court (Louis IV) painter. 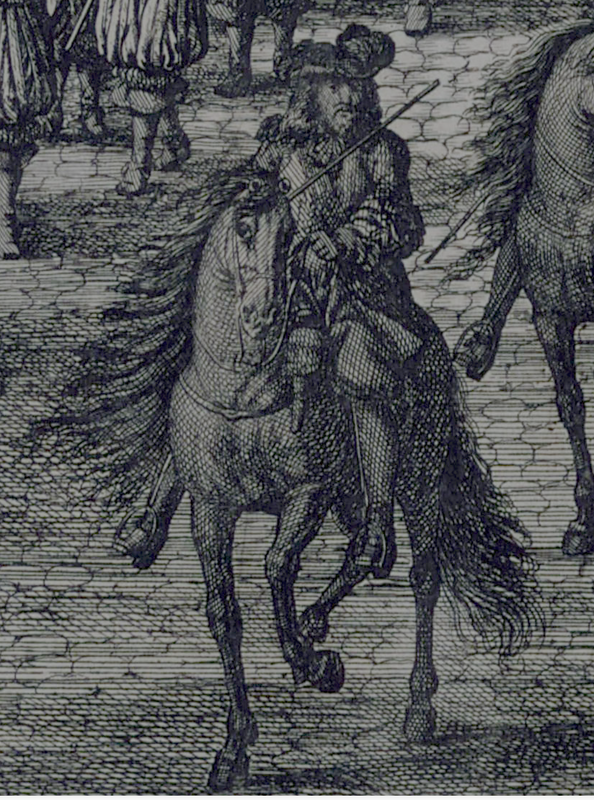 - Wikimedia Commons has a large gallery of his epic works, including many horses and riders. 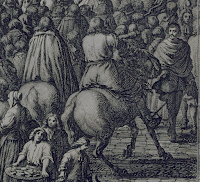 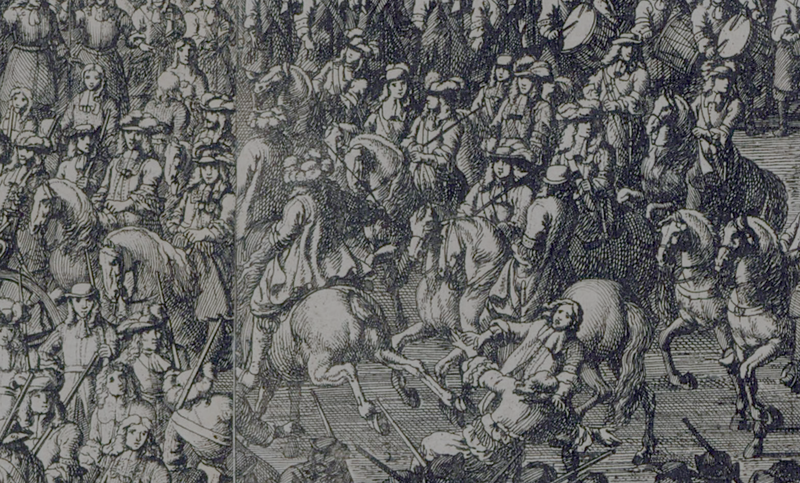 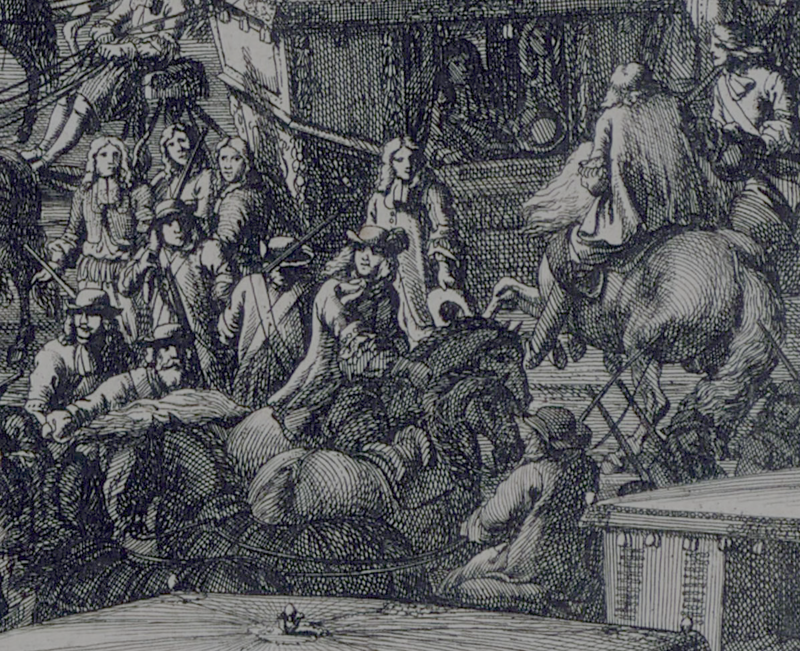 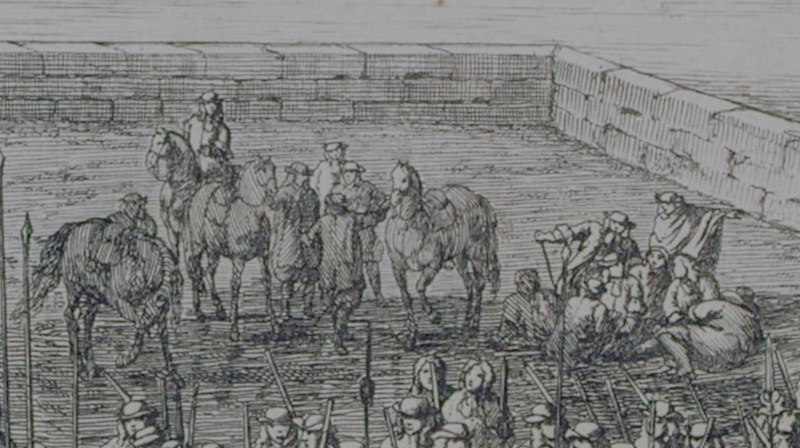 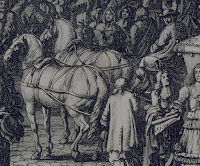 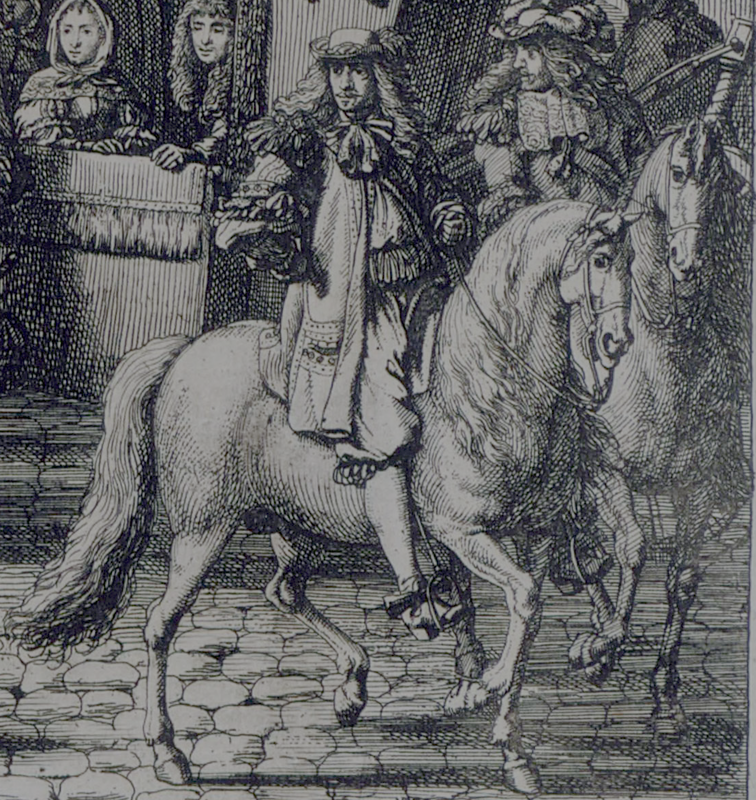 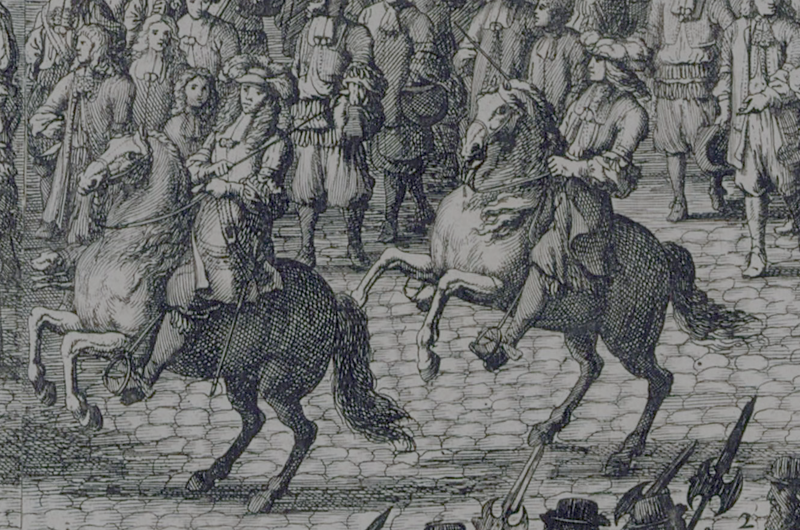 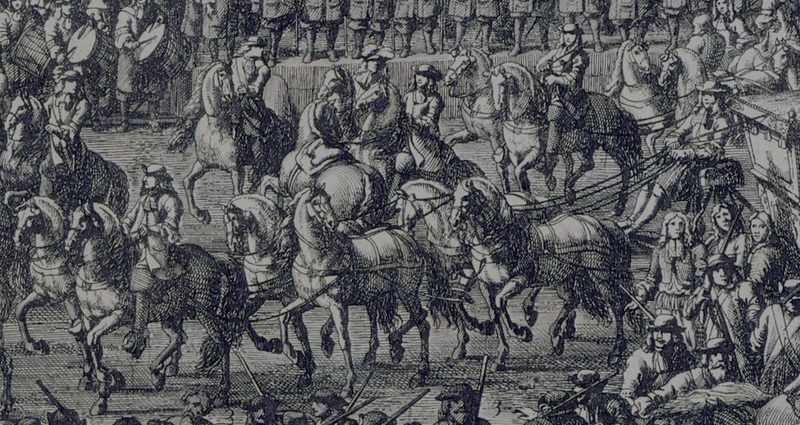 I found this print - engraved by Jan van Huchtenburg after a drawing by Adam Frans- showing 'Marche du Roy...' (King's march with his guard troops crossing le pont neuf and going to the palace in Paris). 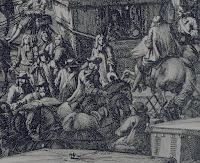 The whole image is large as evidenced here (originally digitalized at Gallica), while there is also a coloured print - also accessible at the Wiki Commons. 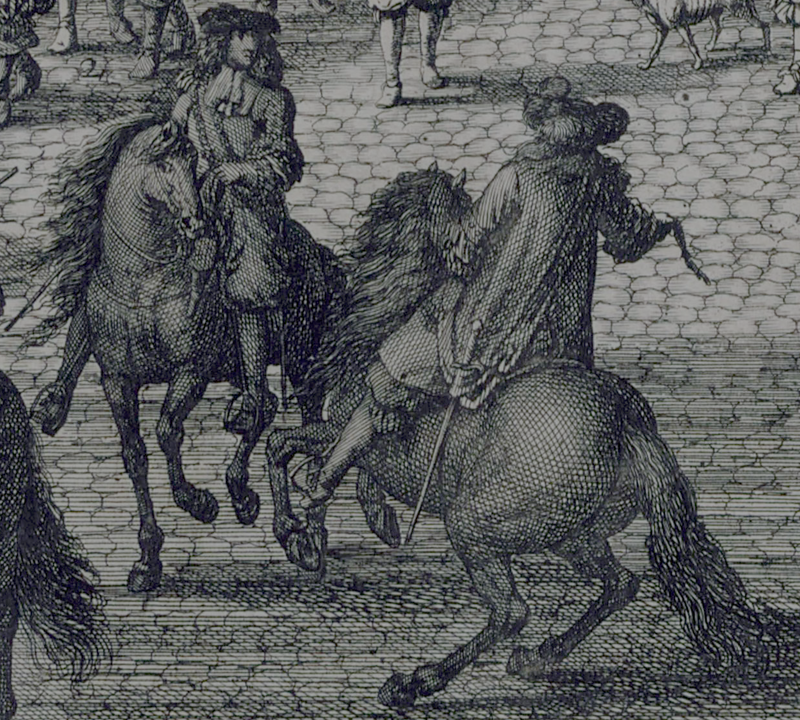 So, here are the horses from the original print - most if not all have Roman nosed heads, long tails, and are not very big... they are ridden well and with dexterity, showing the airs above the ground training.